The following officer positions to be voted in June. We are changing the titles of our positions, to be more descriptive of what they are. Special events coordinator - organize special events (retreats, demonstrations during meetings, classes, etc), post on facebook about said events. Web Admin - keeps blog up to date with notes and pictures from meetings and special events. Posts link to blog updates on facebook page. Laura B. has been nominated for Web Admin. The others are wide open. If you would like to volunteer or nominate someone, you can comment here or send a facebook message to any current officers. Also, if you would like to do one job as a team with someone that would work great! For those that are in town this weekend, make sure to check out the Renegade Craft Fair at the Palmer Events Center. Our inaugural retreat was such a blast that we couldn't wait to plan another one! We'll hold our second retreat from May 20-22, 2011 at the Wimberley Quilt Ranch. We still have 5 spaces available for anyone interested. We will arrive at the Ranch on Friday afternoon and stay through Sunday. The cost is $55 per night. 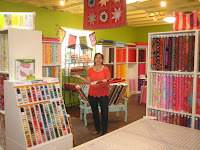 It's sure to be full of fun, laughter, and a heck of a lot of quilting. Thursday May 12 from 6 to 8 p.m. The Quilt Store on Anderson Lane is having an E.O.B. (end of bolt) sale. Starting Wednesday, May 4 you will save 20% when you buy the end of the bolt of any regular priced bolt. And, if you buy the end of the bolt on any of the sale fabrics you will get a whopping 40% off the original price! This sale ends Saturday, May 7 at 5 PM. 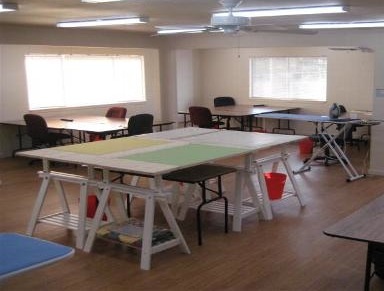 We had a great time at Valli and Kim on Saturday for our quilting workday! 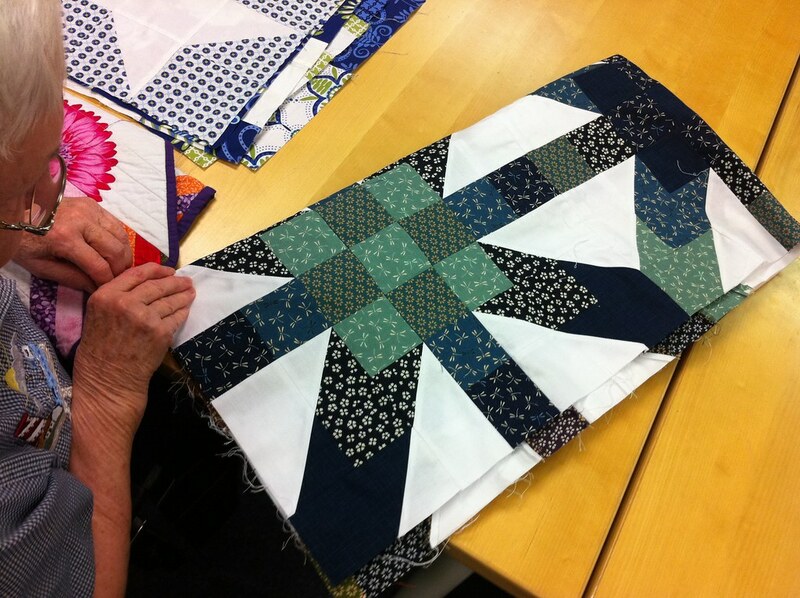 Some of us, ahem-ahem, even got some quilting done! Thanks to both Valli and Kim for making the day not only productive but also a lot of fun. If you haven't made it down to their store yet, it's a must visit! Not only is their shop amazing, but they are two of the sweetest people you will ever meet. If they would have let us pitch a tent and stay the whole weekend, we probably would have. 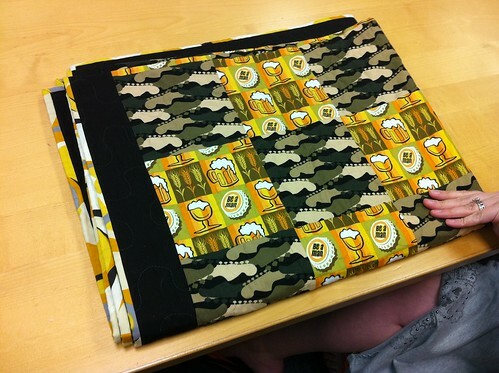 Surely they have some smore fabric in there somewhere!